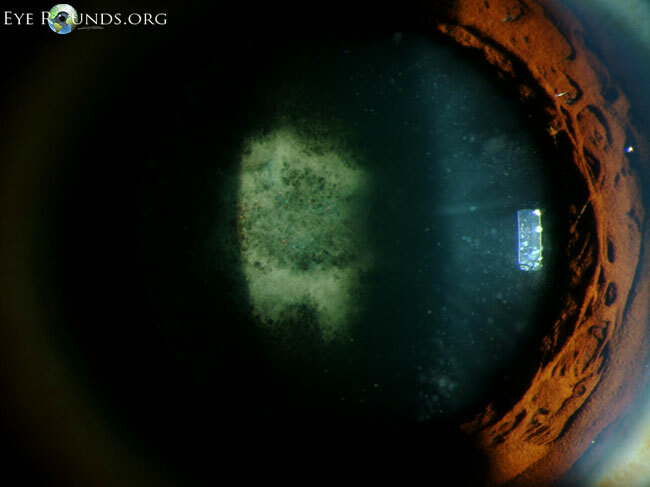 Cerulean cataracts are composed of small bluish dot-like opacities in the peripheral lens cortex. They usually do not cause visual symptoms. 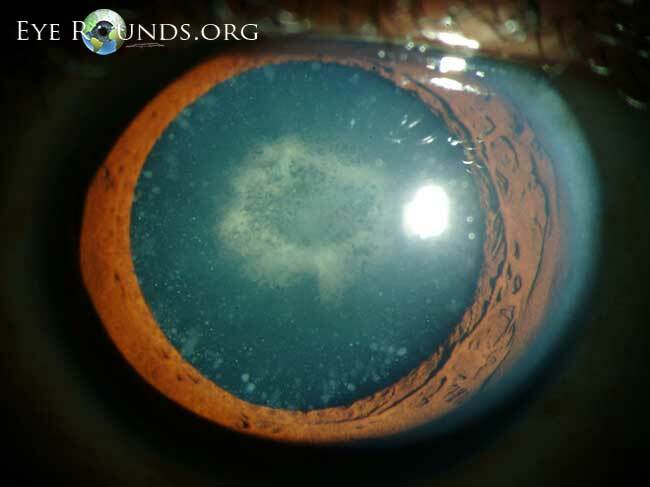 This patient also has a dense central posterior subcapsular cataract which was visually significant.